The BerkelBike can be used for fun or for intensive training. Since it offers the user the possibility to cycle using both arms and legs, the BerkelBike can provide effective fitness training. The various gears on the bike allow the user to choose the level of difficulty and resistance. Cycling with the BerkelBike is easy, but it can challenge the user to improve further at the same time. 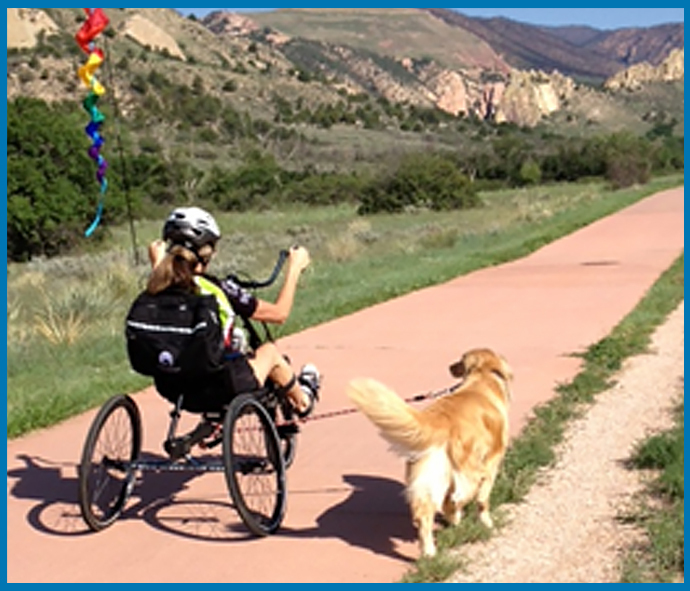 Cycling with the arms and legs makes cycling with the BerkelBike a whole body workout. This means the user can make quick progress and improve their fitness level effectively. To help the user get started and train effectively, our team will send a personalized training schedule to ensure fruitful training. The combined arm and leg movement is the most important feature of the BerkelBike, as it allows for comfortable cycling even when the strength of the legs or arms is unequal. The handles can be used to help out and support weaker legs or even let them rest when necessary. Keeping the legs active when paralyzed or living with other physical constraints is a challenge but very important to prevent further negative health effects. The BerkelBike is specifically designed for people with disabilities and ensures that almost everyone can train and cycle. Exercising the legs is important for different reasons. First and foremost, it is good to maintain blood circulation. This helps to heal wounds, keep muscles in shape and maintain body temperature. Secondly, moving the legs is a good way to prevent complications such as bed sores. Using all limbs has great benefits while biking. The user gets a full body workout by moving both arms and legs. The leg and arm muscles are trained and these can all be used to reach maximum strength.